Hours: 1 - 5 PM, Monday through Friday; or, by appointment. This exhibition celebrates the German culinary tradition of Chicago's North Side. 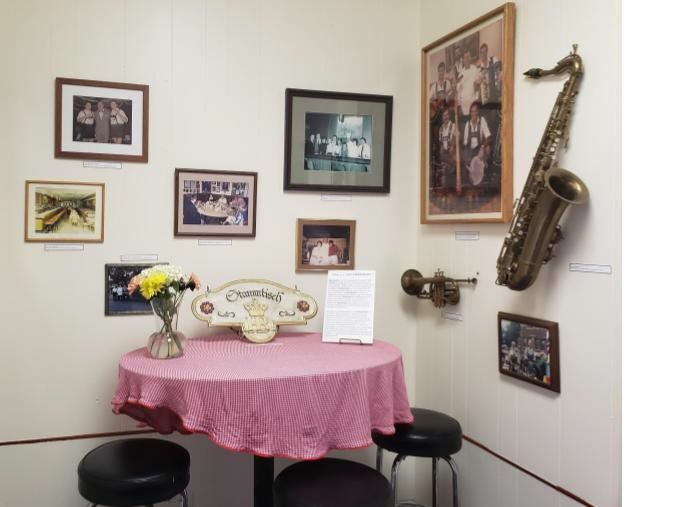 With a variety of memorabilia, photographs, and artifacts, this exhibit was made possible thanks to Harry & Guenter Kempf who generously donated several artifacts from the Chicago Brauhaus. A replica of the Stammtisch from the Brauhaus.